HMS Leda, built by Sheerness Dockyard and launched 13/9/1892, was converted to a minesweeper in 1909. Sold for breaking up in Germany,14/7/1920. 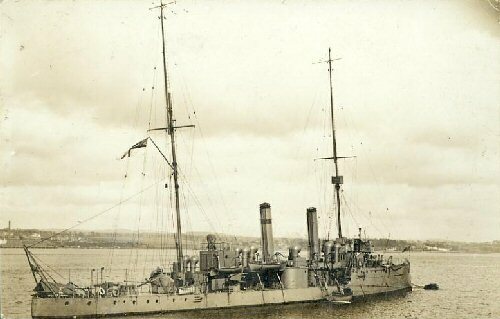 Many Torpedo Gunboats were converted to Minesweepers and depot ships and many saw service in WWI. These were the predecessor of the destroyer which started with HMS Havock. Sorry, no postcards for this ship.